Dear Everyone: Sci-Fi Dystopia/Western with Aliens and Mystery is my jam. I mean, I saw Cowboys & Aliens in the theater on opening weekend. And not just because of Harrison Ford and/or Daniel Craig, either. I've never heard of a premise quite like this one in young adult lit, and I'm unbelievably excited to see what it looks like. How will the author play with a landscape outside the laws of nature, with an 'infinite sunset?' Just how terrifying is the alien going to be? Plagues of fishes and ravenous bears, oh my! 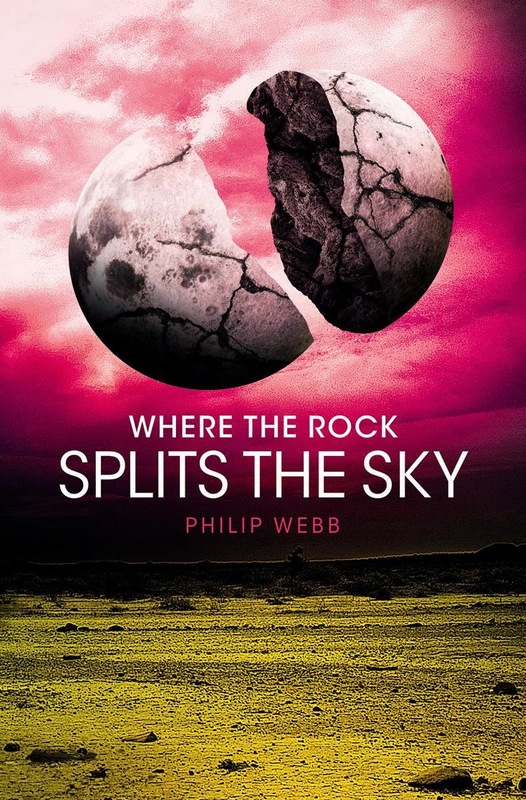 Philip Webb’s Where the Rock Splits the Sky will be released by Chicken House on March 25, 2014. The moon has been split, and the Visitors have Earth in their alien grip, but Megan just might be able to free the planet--if only she can survive the deadliest desert crossing. The world stopped turning long before Megan was born. Ever since the Visitors split the moon and stilled the Earth, infinite sunset is all anyone has known. But now, riding her trusty steed Cisco, accompanied by her posse, Kelly and Luis, Megan ventures out of her Texas hometown and sets off on a journey across the vast, dystopic American West in search of her father. To find him, she must face the Zone. Laws of nature do not apply to the notorious landscape. Flying towns, rivers of dirt, plagues of fishes, ravenous bears: The desert can play deadly tricks on the mind, and the quest will push Megan past her limits. But to solve the mystery of not just her missing father but of the paralyzed planet itself, she must survive it--and a showdown with an alien. This is the first I've heard of this one! My friend and I were just talking about how there are very few western stories in YA! This definitely looks interesting! And I love the colors of that cover. Wow... now this books sounds awesome. I haven't seen it before but it's definitely on my radar now. Thanks for sharing and I hope you enjoy reading it. O interesting and awesome cover. What a cool cover! Thanks for sharing.